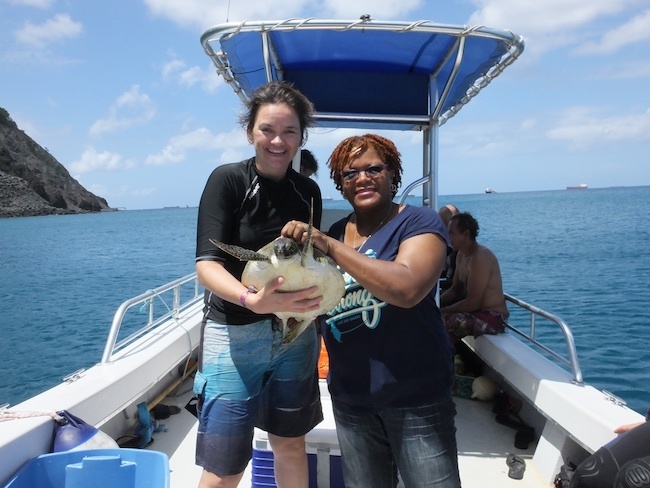 Our in-water survey of sea turtles and their habitats in St. Eustatius (a.k.a. “Statia”) was very successful. 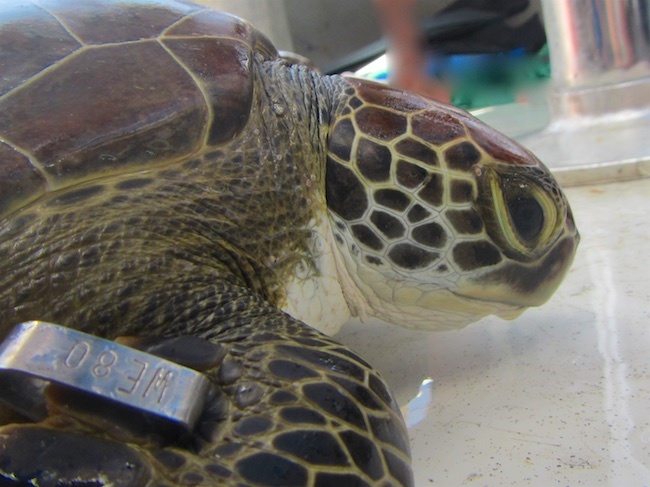 We aimed to collect data to analyse the habitat use and population connectivity of green and hawksbill turtles as part of a larger NWO research program encompassing the 6 Dutch Caribbean Islands. 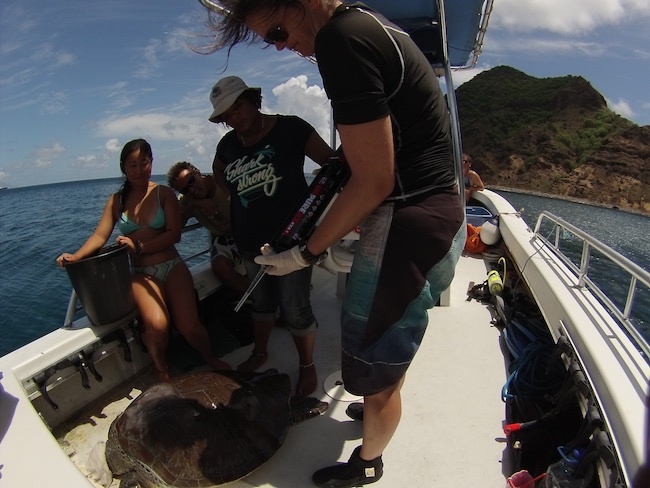 Together with STENAPA (National Park authority of St Eustatius) and volunteers, and support from CNSI (Caribbean Netherlands Science Institute) we spend 2 weeks in the water (and 1 on the nesting beaches, see other blog-post). 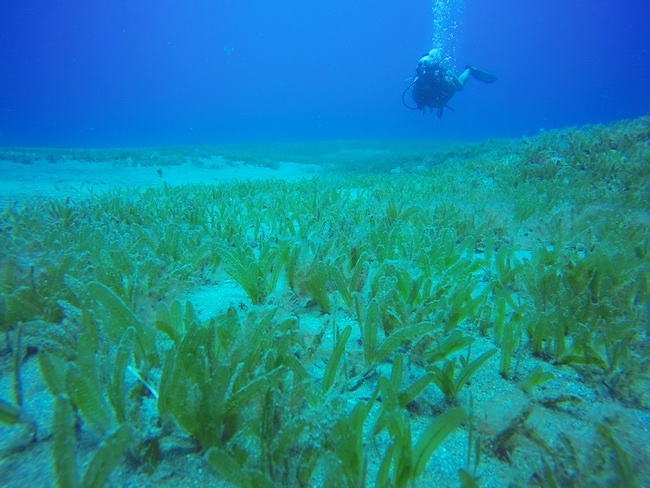 We snorkeled many hours to do turtle/habitat surveys and covered the west coast of Statia 2 times (from Venus bay to the botanical gardens). 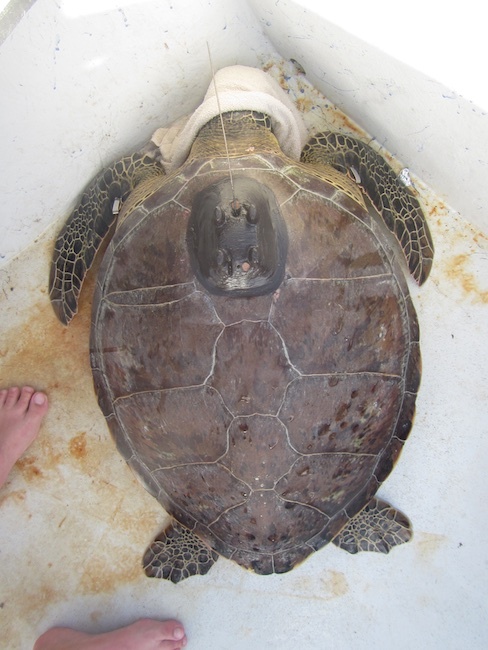 Once we spotted a resting sea turtle, we attempted to catch it while free diving for measurements & sampling. 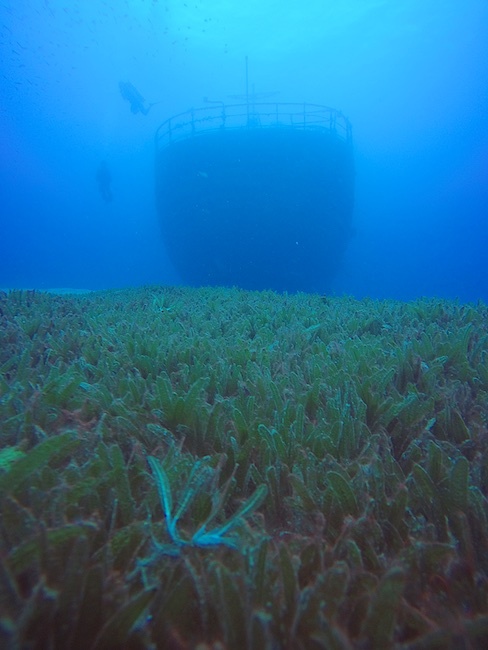 In addition we also catched turtles at dawn and dusk at some of Statia’s wrecks (Chien tong, Stenapa reef) as turtles are gathering there to sleep. 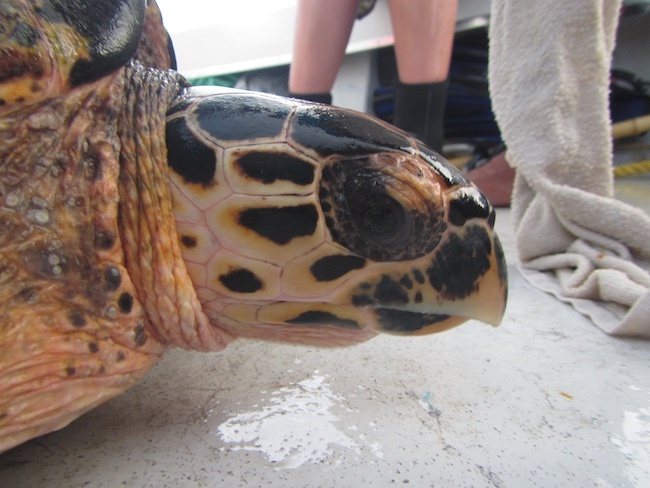 As turtles often rest in deep areas (e.g. 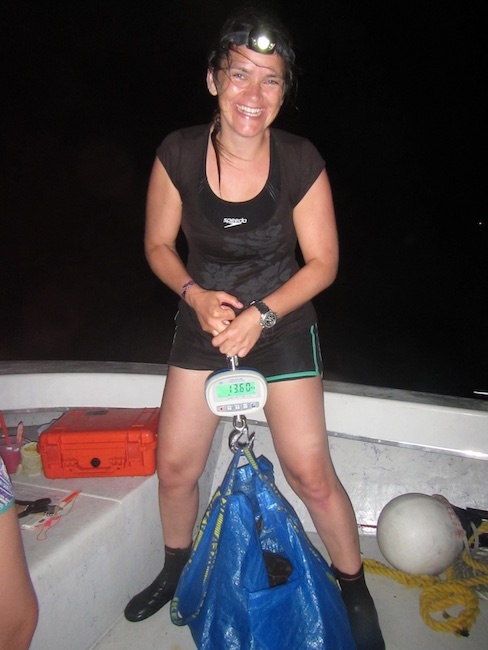 25 meters at wrecks) we often used a combination of divers and free divers as an efficient way to catch multiple turtles. 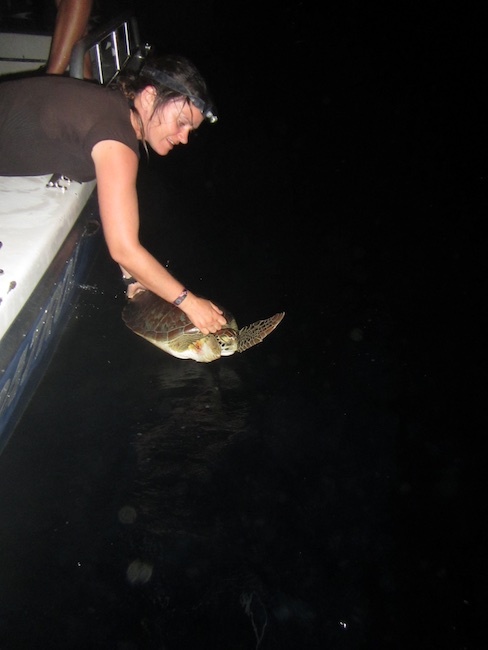 Once on the boat turtles were measured, sampled and some sub-adult turtles were deployed with satellite transmitters (fastloc Splash10) to follow their habitat movements and dive profiles. 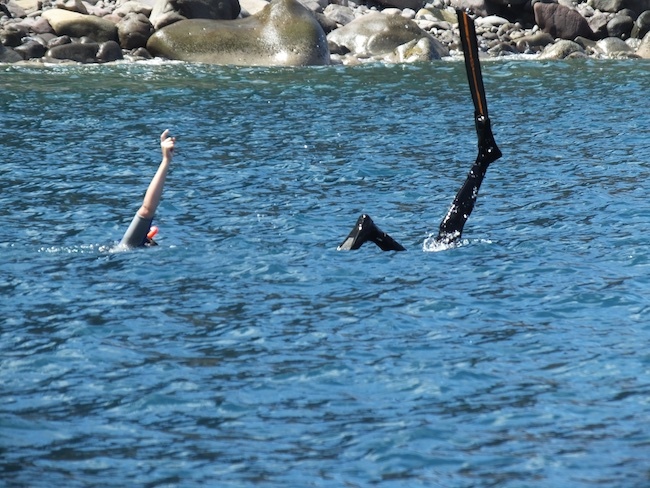 This was the first time in-water work on Statia was attempted. Although conditions were not always ideal, especially due to the deep foraging grounds, we look back at a very successful field campaign. 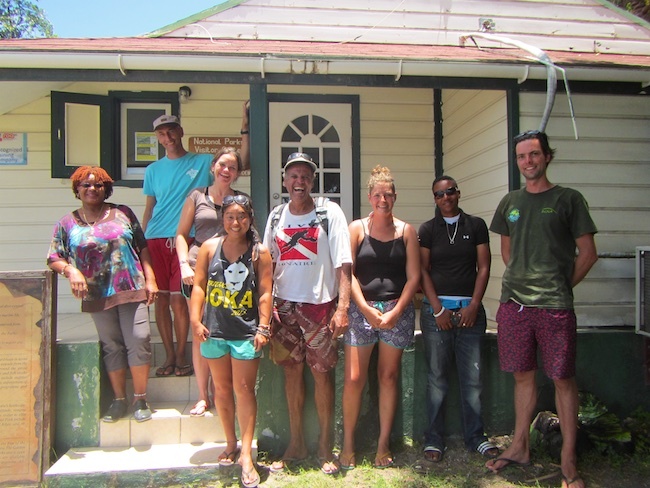 We especially thank STENAPA staff and intern Jessica, Melvina, Nadio, Eric, Clarissa, Elly for their great efforts during the in-water work. See video’s and photo’s below! The time-lapse video is not great but gives you an idea of the 1.5 hr process it takes. 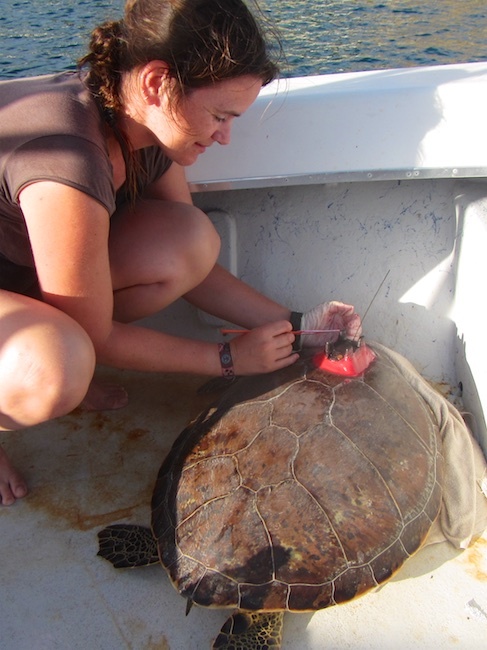 it includes sandpapering & cleaning the carapace, attaching the tag on with epoxy, drying and painting the tag with black antifouling (not visible in video) before releasing the turtle back into the water. after 1 day she was still happily swimming around at the same divesite. But now with some bling and a fancy Fastloc GPS transmitter, see below. 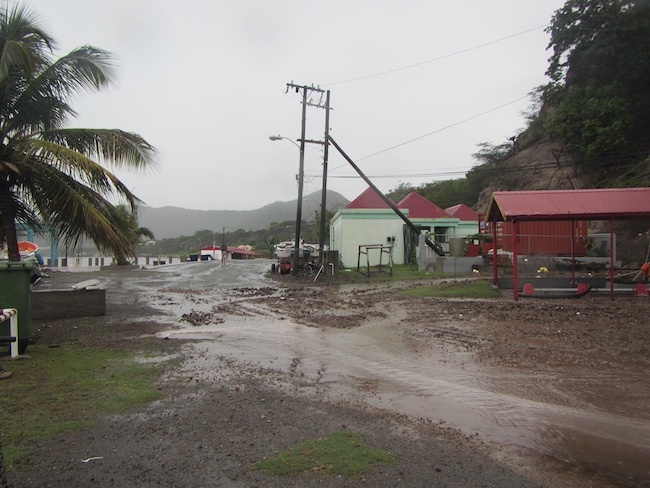 Returning one day in the St. Eustatius harbor: 1 hour of heavy rain results in mud slides. Sediment from eroded cliffs are deposited in the sea. Sediment is run-off into the see. This increased in the hours to come. 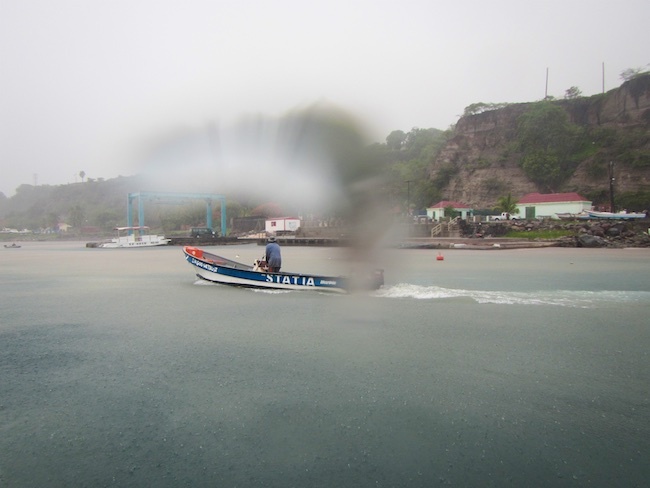 For the next 4 days the visibility around the island was terrible.